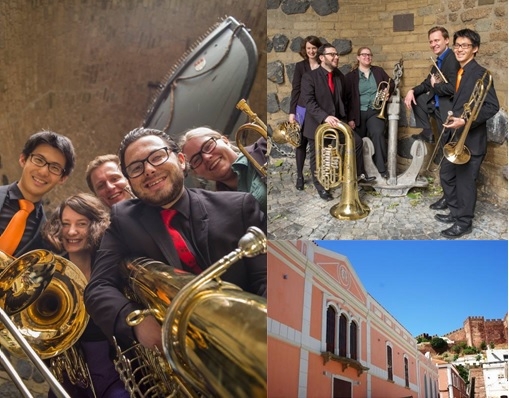 The Rotary Club of Silves has organised an evening of vibrant music in the beautiful Teatro Mascarenhas Gregório in Silves. The Eigelstein Brass Quinteta will perform a lively programme of music, combining classical with jazz from Bach through Mahler to Jim Parker and Irving Berlin to Brubeck. Your donation of €15 secures your place in this beautiful theatre and the money raised goes to the charities supported by RC Silves which benefit the communities of Silves. For further information, directions or to reserve tickets, email info.rotarysilves@gmail.com or phone (+351) 913 595 067. Sponsored by Blevins-Franks International Tax and Wealth Management, Silves Cãmara and the Goethe Institute. For more information about this event and the Eigelstein Brass Quinteta, visit the Rotary Club's website.